Multi-award-winning singer songwriter Seal first came to widespread attention as vocalist on the Adamski single ‘Killer’ in 1990. The single reached number 1, and Seal released his self-titled debut album shortly afterwards, which featured the single ‘Crazy’ (another worldwide hit) and his own version of ‘Killer’. 1992 saw the singer steal the show at the BRITs, being the first artist to score a hat-trick of awards. Follow-up album Seal II featured the worldwide hit ‘Kiss from a Rose’, which won two Grammy Awards. 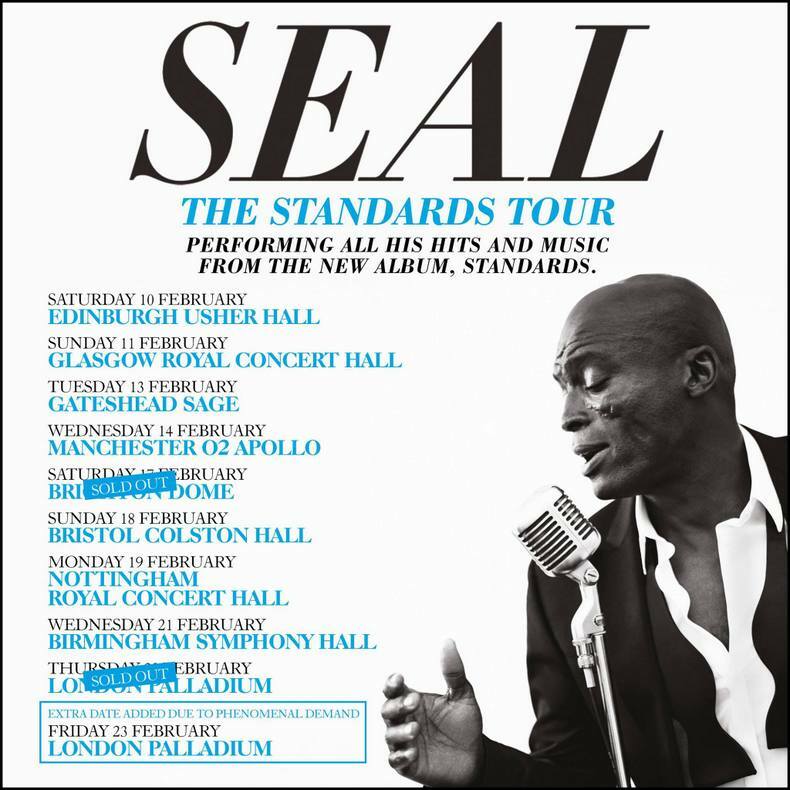 2015 saw the release of 7, Seal’s ninth studio album. For the record Seal reunited with producer Trevor Horn for their first collection of original material since 2003, having previously worked together to create Seal’s defining hits. Outside of the studio and beyond the stage, he served as a coach on The Voice Australia during 2012 and 2013. Tickets: £34.94 to £91.38 incl. booking fee.